Auctions have a wide variety of items up for bid. Among the most popular items are an assortment of single items, like guns. There are, however, some restrictions involved in buying firearms at an auction. Being an informed bidder gives you an advantage when in an auction. So before you head over to a gun auction near you, read these simple tips to better equip your decision making process. - A pistol is a handgun with one chamber integral with the barrel. - A rifle is a gun that is built to be fired from the shoulder. A rifle’s barrel has a pattern of grooves (called “rifling”) cut into the barrel walls. - A shotgun is also designed to be fired from the shoulder. A shotgun’s barrel has the same rifling or pattern of grooves present in the barrel walls. - A revolver centers on a revolving cylinder containing chambers for multiple shots. Now that this crashcourse on types of firearms is done, it’s time to find out if you can actually buy it when you find it. Many gun enthusiasts believe that the only guns to come up at auctions are those that are worth thousands of dollars. That’s just not true, and even at the most prestigious of auctions there are always guns that are auctioned off at lower prices. Another plus for the private buyer is that many bidders at auctions are gun dealers, and they are looking to buy at the cheapest possible price so that they can re-sell the gun at a profit. That tends to keep prices down. - If you are relatively new at buying guns at an auction, ask an experienced friend to help you. - With second-hand guns, always remember that condition is everything. So, a gun that looks as if it has had a hard life almost certainly has. - Set yourself a budget and stick to it. - Every state has different laws, so find out if it is legal in your area to purchase guns through an auction. Find out what the laws are regarding gun purchase and ownership before proceeding, then research information about the guns you wish to buy. - Bid for a gun that you haven’t carefully examined at the viewing. 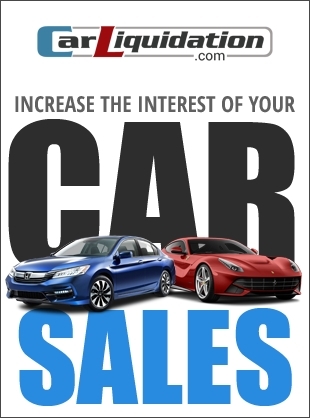 - Get into a bidding competition and spend more than you had planned. You may end up paying more than the gun is worth. - Bid for a gun that doesn’t fit you. Stock alterations can be expensive. - Buy at auction if you are buying your first gun.